Also, if there are any hot actresses watching, give me a call. But wouldn't, like, any explanation be fleeting and meaningless? However, Camus's characterization comes mostly from Simone de Beauvoir's The Mandarins, which was a fictionalized account of the lives of her, Sartre, Camus, and others in post-war France. It was written after Sartre and Camus's rift, which is covered in the book. While Simone, I'm sure, tried to be somewhat fair, she was obviously on Sartre's side and sometimes it showed in the book in hilarious ways. Sartre and Camus's feud essentially came from Camus rejecting Sartre's politics after the news came out of the massive Soviet slave camps. Sartre decided to continue his support of the Soviet Union against the capitalist West, and Camus thought this was an awful thing to do (most of us today would probably side with Camus, considering we have an even more full knowledge of what went on in the USSR, Sartre was trying to be practical after accusations of being overly idealistic). Anyway, there was a scene where Camus wanted to write more against Sartre, but he knew he wasn't nearly as smart as Sartre, so would have to do a ton of studying. 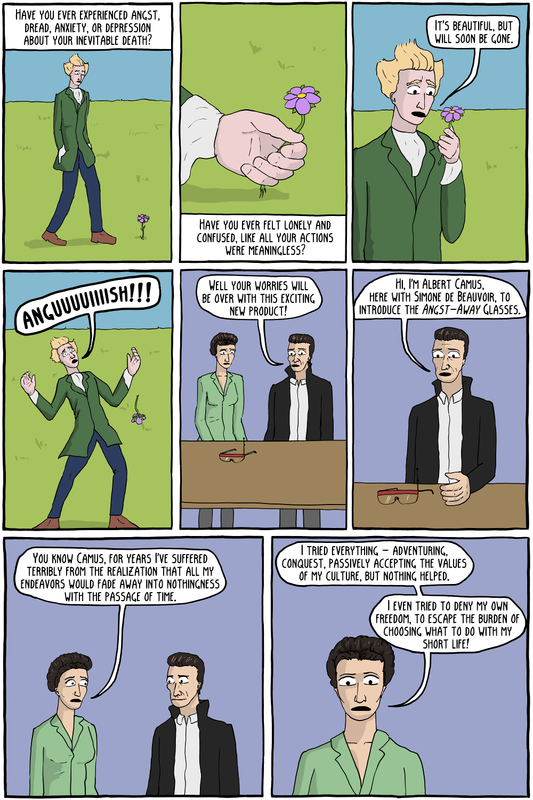 It's pretty clear how both Beauvoir and Sartre looked down on Camus's philosophical knowledge. While Camus did have a PhD in philosophy, apparently he focused on the classics (i.e. 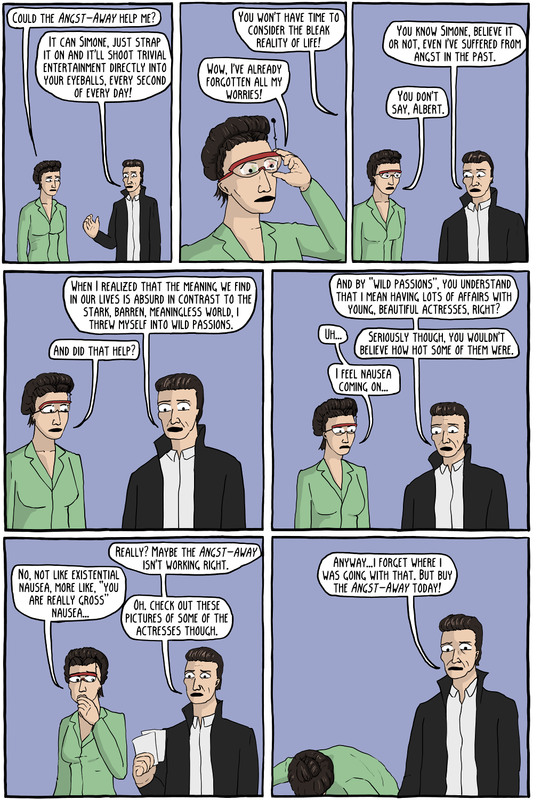 the Greeks) instead of Hegel and Marx, which was what was important to Sartre and Beauvoir (as well as most French philosophers at the time). So Henri (who represented Camus in the novel) is thinking about how he would have to be super discipline and read Marxist philosophy for like four hours each day for six months just to be able to be close to Sartre's level, but in the end he was basically like "eh, I'm sure all this stuff will work itself out, my time is better spent sleeping with young, beautiful actresses". The particular actress in question was sleeping with him to get a part in his play also, so yeah, her characterization of Camus in the novel was hardly flattering.